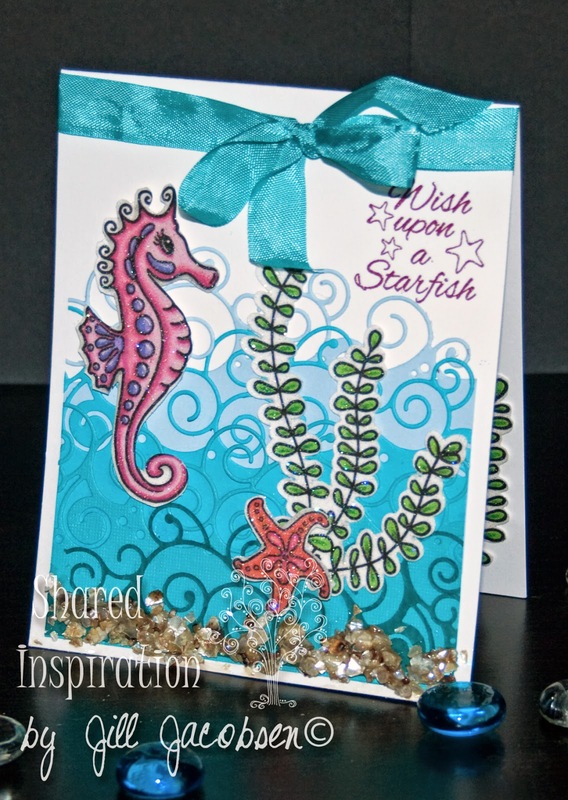 Shared Inspiration by Jill Jacobsen: Summer Seahorse Sneak Peek! Summer is definitely here...it is hot out...but that's the way I like it!! My inspiration here is kind of 3 fold. 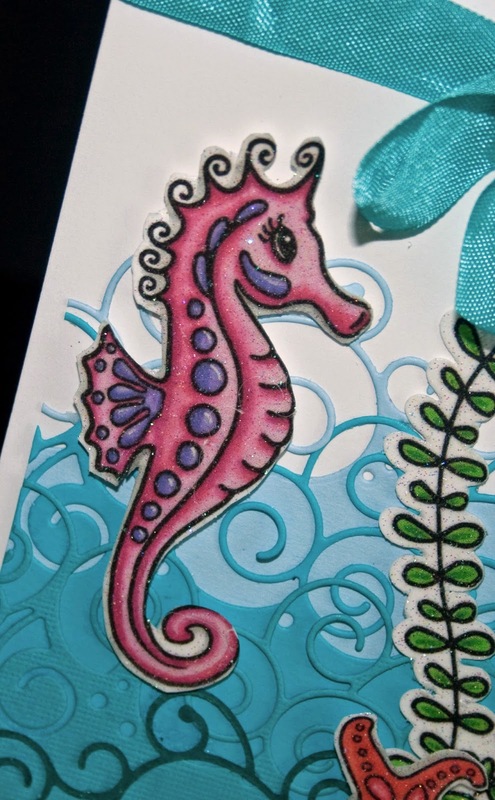 On Monday the Technique Challenge on Splitcoast was to use a border repeatedly on your card...so all week I've had this Splash border die from Memory Box cut out, then that inspired me to make some new digi stamps!! (this is a peek at the set!). 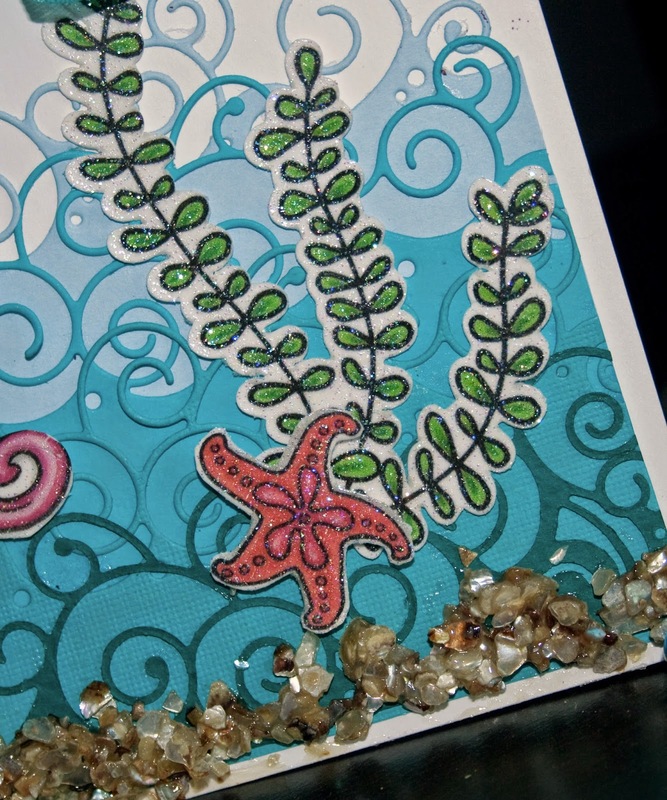 Then today Mix-a-bility Challenge was use something beachy....I used the Mudd Puddles on the bottom of my card. I did add some Sparkle EP from Sparkle N Sprinkle to the images to brighten them up...and the sentiment is from Mermaid Kisses from SNS. Hope you enjoy some creative time this weekend! !